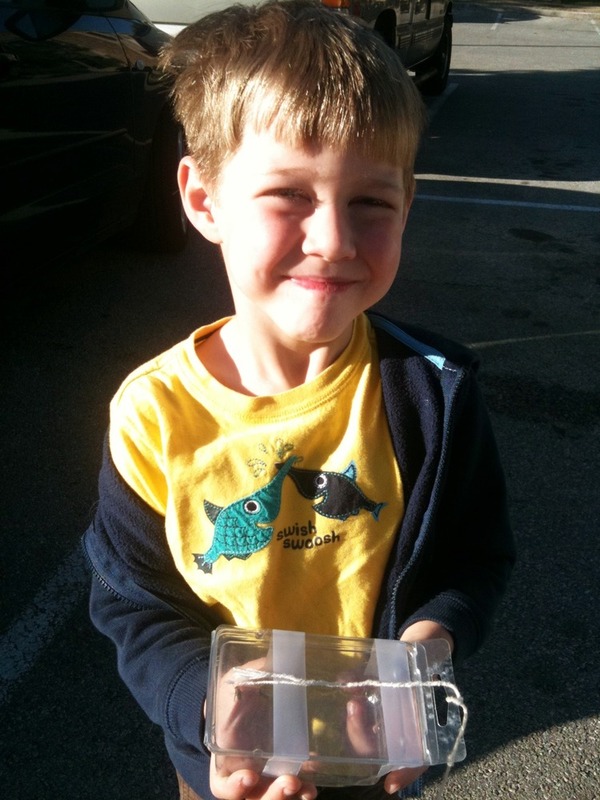 Zach kept saying his teacher wanted him to bring a bug to school. We didn’t believe him. We were wrong, as I found out this morning when I brought him to school with a fly in a plastic box. Teacher was very pleased.